Summertime is here! Don’t you just love it!? So many fun outdoor activities and events. 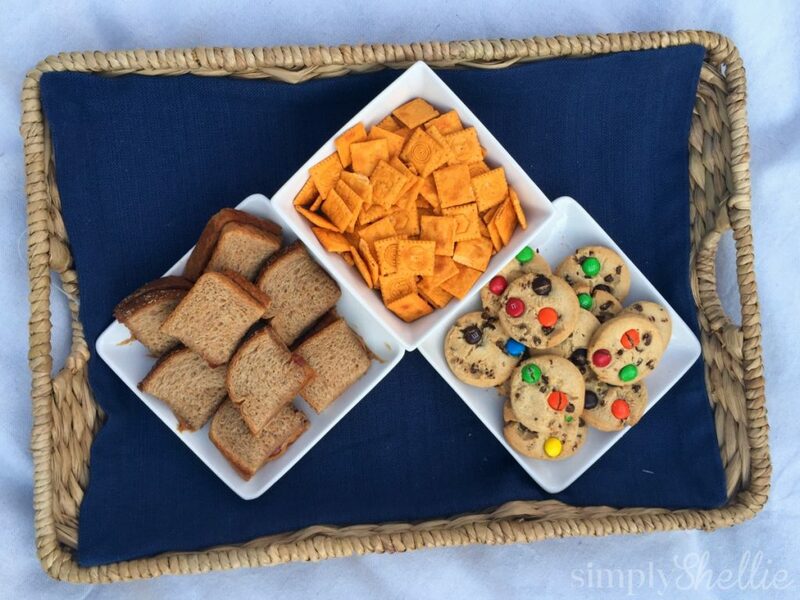 It’s the perfect time to pack a picnic and enjoy the long summer evenings. And this summer is the absolute best because we get to cheer for Team USA while they compete for gold in Rio in a couple of weeks! I don’t know about you but I am so excited to watch all the athletes and competitions. 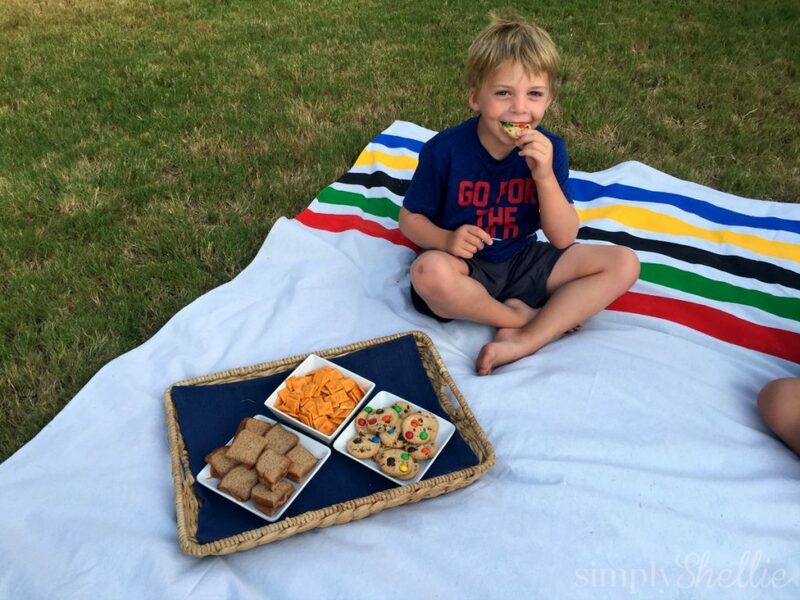 To #GetReadyforGold, I thought it would be super fun to DIY a picnic blanket! 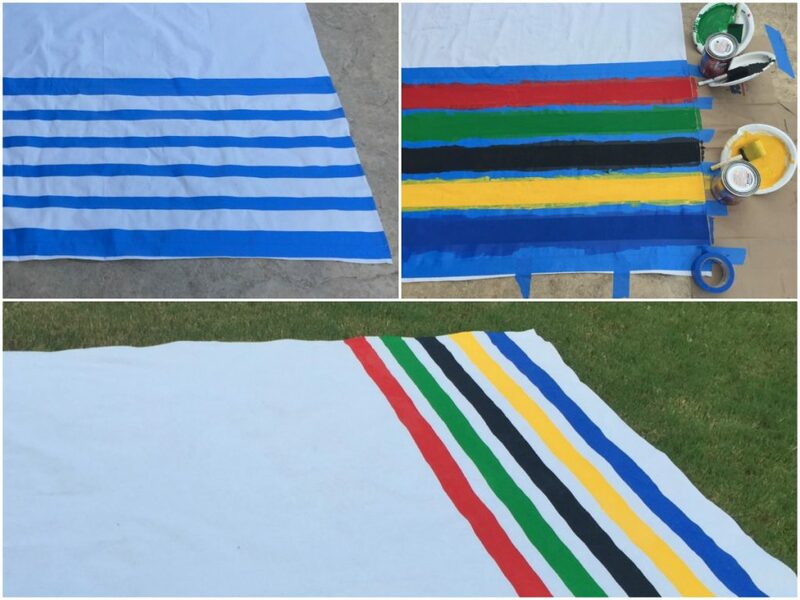 I had no idea how easy and inexpensive it is to paint a picnic blanket. I chose to do some simple stripes in the themed colors but you could paint yours any way you like. 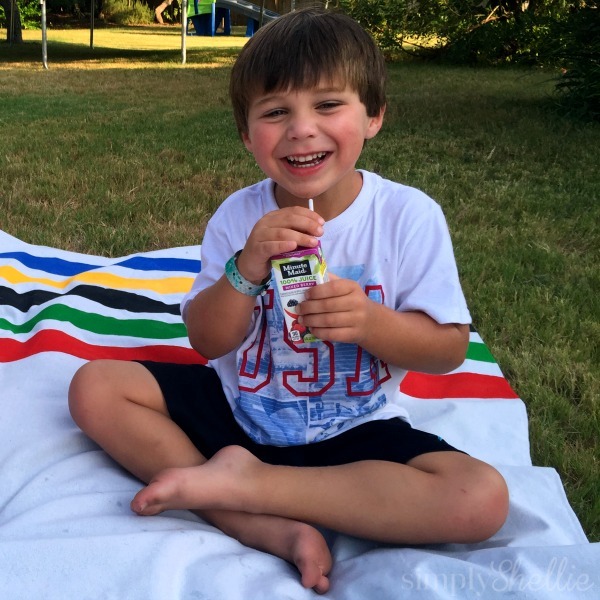 Paint some patriotic red, white and blue stripes or tape off some diamonds or other pattern. The possibilities are endless. You might even want to make more than one! Before we get to the instructions, I have to tell you that I am horrible with paint. Painting projects never end up how I want them to. I am usually a complete and total failure when it comes to paint. So if I can paint a picnic blanket, it’s pretty much fool proof. Don’t be scared to give it try! If the blanket is creased from being in the package too long, you will need to go over it with an iron. Then, use painters tape to tape off a design on your blanket. Make sure you firmly press down the edges to prevent bleeding. If your blanket does not have a plastic backing, keep in mind the color may bleed through the back. You should cover your painting surface accordingly. For my stripes I used single strip of 1.88″ painters tape. Then I left a 3″ space for the stripe. Then I used another single strip of tape. I repeated this until I had 5 open spaces for the stripes. Working one color at a time paint the open areas with your desired color until all areas are finished. Allow the blanket to dry for 30 minutes or so. Then go over any spots you may have missed. Allow the blanket dry to completely. 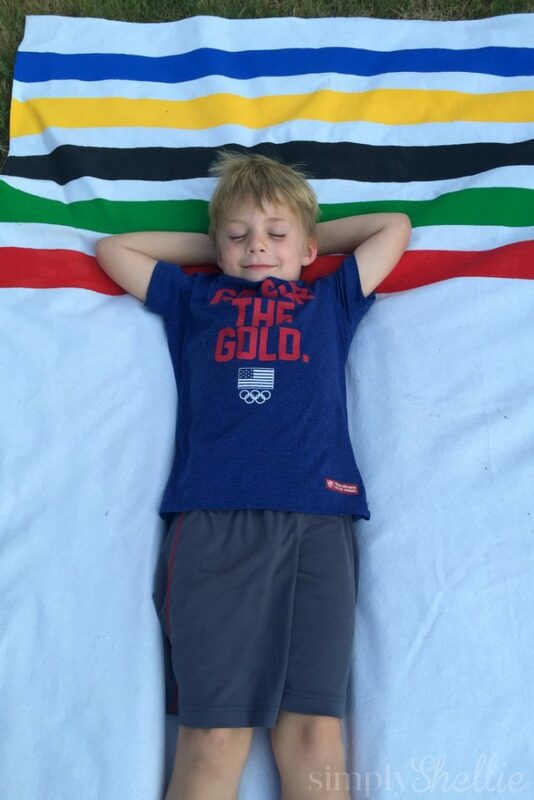 The boys and I had so much fun with our #GetReadyForGold picnic. To really complete the fun I went to Randalls and grabbed some picnic items from #GetReadyForGold sponsors like Coca-Cola, P&G, Smucker’s, Kellogg’s, Hershey, and Chobani. If you buy $50 in participating products, you save $10 on your next shopping trip! This makes it so easy (and affordable!) to support Team USA by buying products you love! See all the qualifying items here. and don’t forget the Bounty® Paper Towels for easy clean up! In addition to the in-store promo, these sponsors and Randalls have joined forces to sponsor the #GetReadyForGold Sweepstakes. This sweepstakes will allow customers a chance to win a U.S. Olympic Training Camp Experience or other summer-themed prizes. Seriously, who wouldn’t want a U.S. Olympic Training Camp Experience? That’s where dreams are made! See the athletes and how they train. It is the chance of a lifetime! This summer, as you prepare to cheer on our nation’s top athletes, #GetReadyForGold by purchasing themed items from these sponsors. Who knows, maybe you’ll get to join the action and win the trip for the U.S. Olympic Training Camp Experience! Playing off of the excitement around the summer competitions in Rio, Coca-Cola, P&G, Smuckers, Kelloggs, Hershey, and Chobani have sponsored a sweepstakes which will allow customers of Randalls stores a chance to win a U.S. Olympic Training Camp experience, or other summer-themed prizes. Make a qualifying purchase at a participating store location before August 22, 2016. 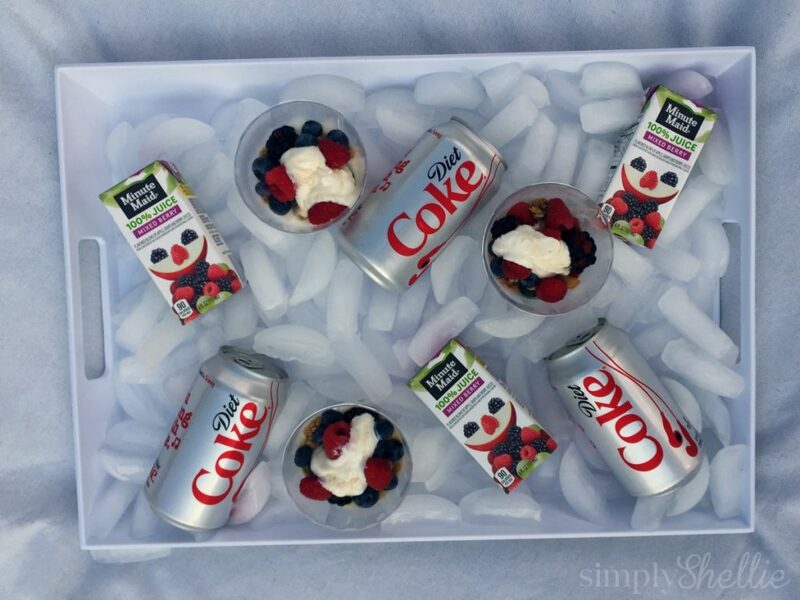 Participating brands include Coca-Cola, P&G, Smuckers, Kelloggs, Hershey, and Chobani. Be sure to save your receipt and upload it at www.cokeplaytowin.com/readyforgold by September 5, 2016 at 11:59pm EST. 20 Grand Prize Winners will be selected to win an Olympic Training Camp Experience. Learn more about silver and bronze winner prizing, other entry methods and the official rules. Head to your local Randalls store and pick up some participating #GetReadyForGold picnic items. 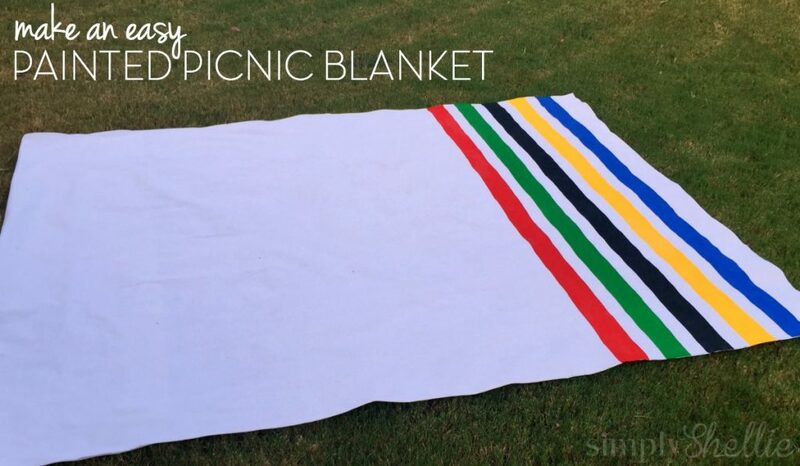 Then grab some paint and brushes and paint yourself a picnic blanket. You can check to see if your city has any watch parties at a local park. I know here in Austin, everyone is super excited about the swimming! Or plan your own watch party in the backyard. It’s such a fun way to come together and cheer on Team USA. Let’s get these celebrations started as we all #GetReadyForGold!